What a great review. 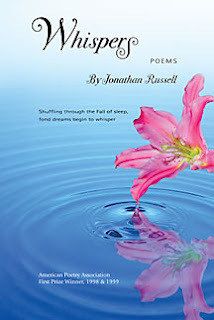 Close attention by careful erudite reviewers like yourself graces the art of poetry. There is a quiet revival going on, I think, a reclamation of certain traditional points of view and techniques, a kind of retreat from overt intellectualism back into a focus on communication, that is very refreshing for avid readers of contemporary poetry. The poetry you have reviewed here certainly seems an honourable example. I like your Shelley reference...do you have the full quote or do I have to go and look it up myself? If I'm honest...the cover of that book would be quite a stumbling block for me (and I'm a mother...). I would of course try and overcome those first impressions and read the poems before making any judgement...but I can't promise anything. Re: the list of previous publications seeming like an obstacle - I get this all the time and yes, I think it IS an American thing. At Read This we get poems by (almost always) American writers, who seem to think it's a good idea to preface their submissions with statements like "X's poetry has appeared in over 400 print journals and over 500 online zines worldwide." This is obviously supposed to impress me, the editor, into publishing them, because obviously if they're good enough for all those (generally unnamed) journals and zines, they MUST be good enough for RT, right? In actuality, it turns me right off. My first thought is "so why haven't I heard of you?" and my second is usually that they can't be very selective or careful about who they send their work to and why. Also - and perhaps it's because I'm British - it smacks of a boastfulness and an immodesty which really gets my goat. Better to say "I've only ever been published once before, but it was in Poetry Review," than to imply that everyone and their dog has read your poems because you're happy to fling them at all and sundry. I'm reading a lot into this, of course, but I just don't understand how anyone can think it's a good idea to tell editors they they have 900 indiscriminate publications to their name. I find it very hard to take a poet seriously after that... which is why my book will have the acknowledgements at the back, if I can possibly swing it. Paul, thanks for your kind words. I did take a great deal of care over this review and I'm happy to admit that I was outside my comfort zone. Still, for me it was a worthwhile exercise, to tackle something new. I would agree that the focus in poetry is changing and readers are looking for more accessible subject matter. I still think we're looking to be stretched and stimulated rather than simply being entertained. Sorry, Rachel, but you're on your own regarding the Shelley quote. I found it in an encyclopaedia in my local library in one of a number of articles I read to get my head in the right mindset to do this justice. The cover is, I agree, a major obstacle which is a shame because it is a lovely book and they're done a good job with the cover. It just sends out … a certain message. I would never have picked it up in a book store but then I really don't think I was the book's target audience. And, Claire, yes, I think you're probably right there. I usually mention the last three because I've never been in Poetry Review and I don't expect I ever will. The guy had hired a firm to market him and that is what they did. I googled him when I first got the book – I google everyone I'm going to write about (you know that) – and he was conspicuous by his absence even if he is blind. And I find that interesting that we now judge a person by his online presence; things are changing. Aggie: Oor Jim's tekkin it oot on other pore writers since he git that awfee revoo! Ken, Shuggie's got a wonkey table leg - he wants to know how thick that new book of yours is. About a quarter of an inch would do just fine. What a strange collection. It sounds almost like pastiche. Don't want to rush to judgement without reading it first, though. Shug, the word 'pastiche' was certainly in my notes but I'm not sure that it is. My feeling is that Russell's influences are just showing through. I don't think he was deliberately trying to copy any of the poets I mention. Awesome poetry. I find it soulful. How could one write so well? Jena, I'm glad you appreciated Johnathan's poetry. And, Rachel, if it is a pisstake then all credit to them. What I want to know is what they're doing doing this and not trying to get think up ways to get laid. I get the definite impression that his short lines are more to my taste than his longer ones, but certainly the guy seems interesting. I go along with Gingatao: it's a great review. On the general question of hard- or soft-back, for me softbacks are for novels and poetry about which I have not reached a conclusion. Stuff I know I like I prefer in hardback - not special;ly in swish, glossy hardback, though! Thanks for that, Dave. I'm afraid he has a fondness for the longer line. Interesting he was, yes, and as I've freely admitted, this was well out of my comfort zone but if I didn't think I could do a good job and be fair I would have passed. I know the old adage about not judging a book by its cover and up till now I've always assumed that the covers would be tatty. This is the first time I've judged a book negatively because it was well turned out. Interesting. You do write a very good review, don't you! Well, Sweet Talking Guy, I'm glad you think so. As the publicist for Whispers, I must thank you for the lengthy review you posted of this book. I was surprised to see that having a fine quality book was cause for skepticism as to its contents. Jonathan is a wonderful man, who is very unsophisticated and has never even used the internet, so his lack of online presence is an honest representation. In listing his previous books and awards, we were simply attempting to offer readers the sense that he has been crafting award winning poetry for many years, despite his legal blindness. Often times poetry is sold at readings by the poet, which is no longer possible for Jonathan, so we were hoping to find ways to share the quality of the poems beyond his local area. He is quite modest and it was my decision, as publisher and publicist, to include the accolades, in order to attract whatever attention possible to this final collection, from a talented poet and fine man. Perhaps you can tell that I have been personally affected by working with Jonathan? He is truly a kind, funny and very unique person. I will close by saying that we do appreciate your detailed attention to the many poems in the collection. Thanks for the feedback, Deidre, and I do appreciate your comments. I think the 'scepticism', as you call it, has arisen over the years because of an increasing irritation with the whole concept of marketing. Very few of us like the hard sell – usually because we find ourselves disappointed with the product in some way – and we're extra cautious the next time. This is not to suggest that this was a hard sell but I for one am very wary of a film, for example, where the poster lists off a wall of credits assuming that I'll pay more attention to them than the reviews about the film. It's a hard call to make. My impression of the book when I opened your package was that this was the kind of book my late mother would have loved, even without looking at a single poem. I would never have picked that book up based purely on its appearance, for me. As for the lack on an online presence, the world is changing and it is becoming something people look for. I do virtually all my business online these days. Jonathan's blindness is a consideration but I know several blind people who have very active web presences. One of the UK's Big Brother contestants produces his own radio show and codes the website attached to it himself. I would have at least expected that his publicist would have created a site showcasing his writing. If there had been one then I might very well have declined the offer to review his book. I had my doubts at first but his style of poetry is very different to mine and I had to put a lot of work into writing that review but I'd accepted the book and I felt it was only fair to do my best. As for Jonathan I have no doubt he is a lovely man and I hope he wasn't upset by my review. I tried to be as objective as I could and I really do think there will be a market for his book. I'm just not sure how you are going to contact them online but I wish you the best of luck. I read through the various comments posted on the website and wanted to share a bit about my father to set the record straight. My father is a Brit and is 89. He is also legally blind, has a heart condition and breathing problems. He adopted an abandoned, extremely neurotic giant apricot poodle who is spoilt to death named CoCo (actually her owners could not cope with her so brought her to see Dad and left her there! Both Coco and Dad are loving looked after by Shirly, his wife, whose ears have been overworked and underpaid listening to all his newly composed poems for the past two decades. He taught himself how to use the computer about eight years ago when his sight failed and he was no longer able to write. His intense desire to continue writing poetry made him find a way to figure out the computer which he uses with a huge screen and an equally huge keyboard and a magnifying glass. He does not know how to use the internet and I would question if there are many 89year olds with their sight who are able to use the computer to market themselves on the internet to make themselves better known? In addition to this, my father has no interest in promoting himself, he only wants to get his poetry out to the public so they can enjoy reading it. His style reflects the era in which he grew up and the classical nature of his vocabularly depicts his educational background. Why should he write any differently? His ability with words is amazing and he has written over a thousand poems in his lifetime! Most of them are in sonnet form. 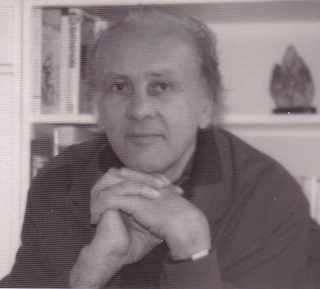 He only started getting his work published when he came to the States in the early nineties and he was in his seventies, and the universities welcomed his poetry with open arms. My father loves animals (which is why he writes about them), is a vegetarian as he does not like the idea of eating the animals he so loves (he even bought me home a snake that had been abandoned)and wishes war was a word that had been deleted from the dictionary. He was in the Merchant Navy and was torpedoed several times and floated in the sea for many days before being rescued and still loves the sea which is why he writes about it with nostalgia in his poetry. He makes up rhymes at the breakfast table, laughs at his own jokes till he cries and is someone who has always been so open minded that he was my best girlfriend!!!! He was always the person (and still is) that I run to with all my problems. To conclude, this remarkable "young" man is someone we all need to meet and get inspiration from. He fills you with hope and optimism for the future and is the best "pick me up" available in the marketplace. Cecilia, thanks for your feedback on your father's behalf. In the main on this site I tend to review books that I buy myself and certainly even then not everything I read, just books that I think deserve a second look. As the popularity of my site has grown publishers have begun approaching me with a view to doing reviews for them. That is a different proposition and I have turned down books when I've realised that the book was of no interest to me. Bear in mind that, apart from a free copy of the book, I receive nothing for this service. When Deidre first contacted me I did what I do with everyone I write about, I googled her. And then your father. I did everything I could to find out more and I came up short. This worried me because I was faced with making my decision to accept a copy of the book based on nothing more than what she told me about your father, nevertheless I accepted and having accepted felt duty bound to do my best. A lot of publishers generally market the man before the book. This has always annoyed me and in some respects I was glad to know as little as I did about your father, after all I was reviewing the work and that needed to stand or fall on its own merits. My gut reaction when I did have the book in my hands, before I even opened it, was that this book would have a definite demographic. Had I seen it in a bookshop I wouldn't have looked twice at it for myself. Had I been searching for a present for my late mother then that would have been another thing entirely; she would have been a contemporary of your father. Once I started reading the poems it was obvious to my mind that I was right. These were the kind of poems she might have appreciated. As you say, "[h]is style reflects the era in which he grew up". I, for my part, was unaware of his age and only had a single black and white photograph to go on which showed a man, to my mind, of about sixty. But that is neither here nor there. I was reviewing the book for today's audience. Your father's age, health, past accomplishments were irrelevant. Aware that I was a little out of my depth I spent several weeks reading up on poets and poetry that your father's work reminded me of. Exhausting what the Internet had to offer I descended on my local library and finally, armed with several pages of notes, I began my review. It is a subjective review. I believe it's best to be up front. And when I said, "this is not a bad collection as long as it finds the right home," that is exactly how I feel about it; I found it nostalgic and sentimental not that there's anything wrong with that but he is being nostalgic for an era I'm unfamiliar with. To illustrate: yes, there were tramps in my childhood, 'tinkers' we called them, but I was afraid of them; I hold no romantic associations whatsoever. On the marketing side of things, people I find are a lot more wary nowadays than we used to be. We hate being, if I can coin a phrase, 'marketed at', and we become suspicious very quickly. When I replied to Deirdre I mentioned film posters which list a wall of credits that all but obliterate the film they're trying to promote. I do include you’re your father's credits word-for-word – I literally cut and pasted them – but at the end of the review, as is my habit, so people would have to read through the review before they find out about the man. I appreciate the background information about Jonathan and am impressed by what you've told me. Personally I wish your father well with this endeavour and I hope the book finds its target audience. I'm not sure that he'll find it online though but I'd love to be wrong.